Wolfgang Koenig, MD, PhD, FRCP, FESC, FACC, FAHA is a Professor of Medicine/Cardiology at the University of Ulm Medical School, Ulm, Germany. 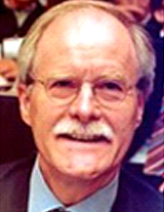 After different prestigious positions as a former Director of the WHO-MONICA Augsburg Myocardial Infarction Register, Director of the Intensive Care Unit and, Director of Cardiovascular Laboratories 2004–2005, he has been the Director of the Preventive Cardiology Program and the Clinical Trial Unit (CTU) at the Department of Internal Medicine II – Cardiology of the University of Ulm Medical Center until March 2015. In April 2015 he joined the Deutsches Herzzentrum München, Technische Universität München and became an established investigator of the Munich Heart Alliance within the DZHK (German Centre for Cardiovascular Research). Presently he serves also on the Steering Committee of various large international randomized clinical trials testing innovative targets in cardiovascular medicine. Dr. Koenig`s research interests involve the molecular basis of atherothrombo­genesis including genetics with particular interest in the interrelations between hemostasis, inflammation, and atherothrombotic complications / type 2 diabetes, the metabolic syndrome, the clinical pharmacology of cardiovascular active compounds, and the clinical epidemiology of cardiovascular disorders, focusing on the identification and evaluation of new biomarkers for cardiometabolic diseases.